Gary ‘Horse’ McGarvey finds a permanent home for his super cool Screenadelica gig posters and a veritable feast of independent artwork and music memorabilia. 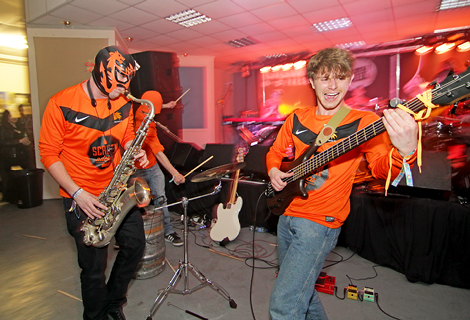 Getintothis has championed Horse (Gary to his mam) for sometime – he was our Local Hero way back in 2010. His passion for music goes hand in hand with his artwork – and anyone that’s followed his exploits knows what exquisite taste he has in both departments. Screen printing the cream of Liverpool’s finest gigs blossomed into a touring showcase known as Screenadelica which combined his own posters with artists from across Europe and the US while McGarvey also collaborated with Liverpool Sound City hosting a variety of incredible gigs (see reviews below). So, it was of little surprise that he concocted a plan to bring a pop up shop to Liverpool in Christmas 2011. 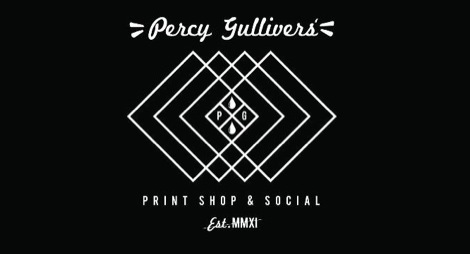 This endeavour, known as Percy Gullivers’ Print Shop and Social sprung up out of nowhere – a wee shop at the top of Bold Street flogging quality prints, independent records, home-made jewellery and vintage memorabilia. It was swell. 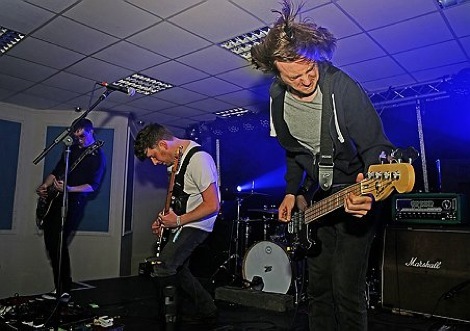 This Saturday, Percy Gullivers opens for good, and in fitting style, McGarvey is throwing a grand – and characteristically noisy – opening party at the Shipping Forecast. 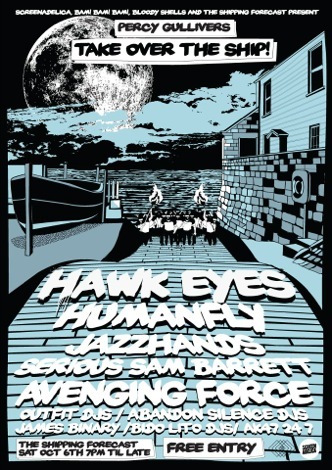 Downstairs in The Hold are Leeds’ specialists in riff devastation Hawk Eyes alongside atmospheric riff warlocks Humanfly, Getintothis‘ favourite multi-drumming fusion maniacs Jazzhands and gnarly types Avenging Force also attempt to blow your ears out. Upstairs, in what will become the new permanent home of Percy Gullivers‘, there’s a set from Serious Sam Barrett, while Bido Lito, Abandon Silence, Outfit, AK47 24/7 and James Binary take to the decks – presumably not at the same time. Horsome! ANYWAYS, here’s Gary’s artwork which tells the story better than all the above. Get involved. Getintothis interviews Gary McGarvey, 2011. Getintothis interviews Gary McGarvey, 2010. Getintothis Screenadelica live music reviews here, here, here and here.